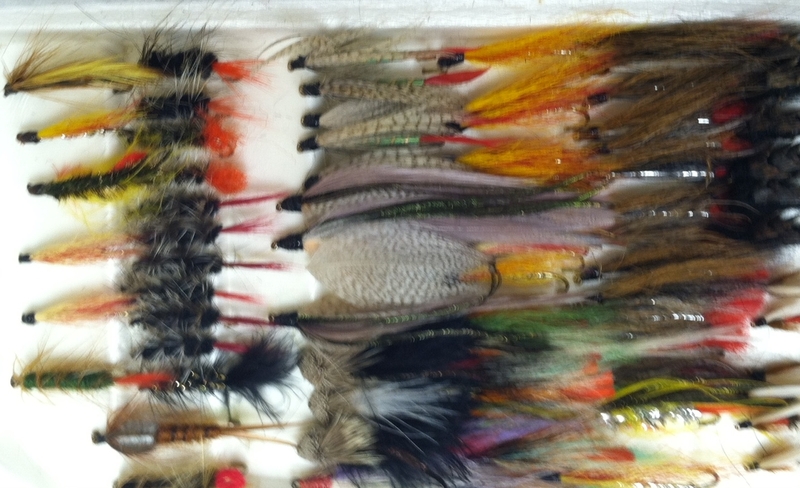 In the prior post I talked about rods, reels and fly line and now I will deal with backing, leaders and flies. Backing is the line you first put on your reel. 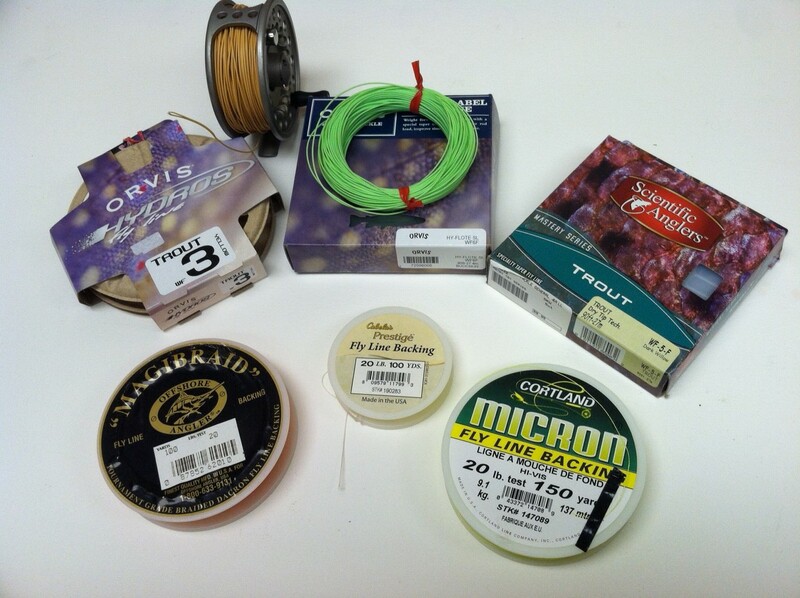 Fly line itself is usually around 90 feet in length and therefore the backing line is required to help fill the spool. It also provides additional capacity should a large fish take out more line. Backing is usually made of Dacron and comes in 100 yard spools of 20 and 30 pound test. Once this is on the spool, then the fly line is attached to the backing and wound on the spool. I prefer to connect the two lines together using a needle knot. However there are other types of knots which can be used and detailed instruction found on the internet. The next required line is a leader which attaches one end to the fly line and the other to the fly. Leaders are co-polymers or monofilament and normally are around 9 feet in length. The end which attaches to the fly line is thicker in diameter and gradually decreases as it proceeds to the end where the fly is attached. This tapering aids the fly in its flight and how it lands on the water. I use 2 or 4 pound test monofilament about 9 feet in length mainly because I am a cheapskate. I get hung up in trees. When I break off the line and lose the leader and the fly, I don’t feel nearly as bad. Open a fly fishing catalog and turn to the section on flies and stand to be amazed and confused by the assortment that is available. 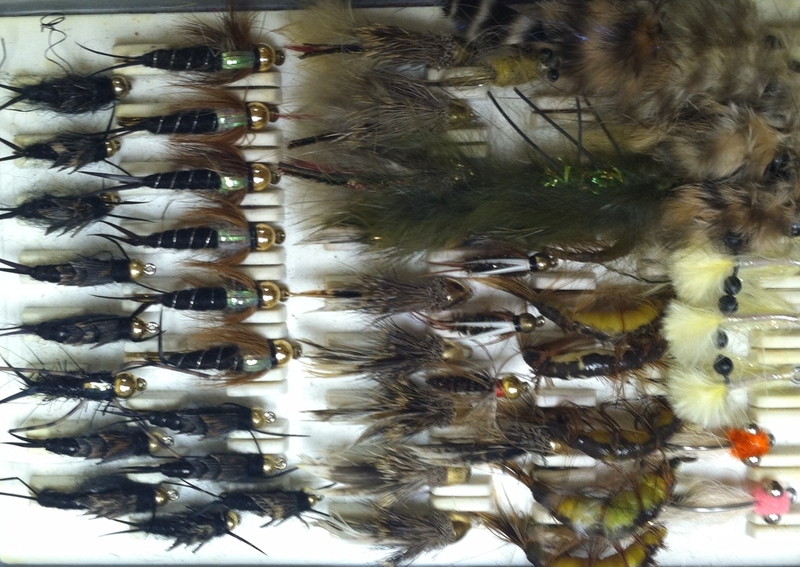 Dry flies, wet flies, streamers, nymphs and poppers along with a host of patterns and various hook sizes are available. Sounds confusing I am sure but all a person needs is around a dozen or so different patterns and types to begin fishing. Over the years I have found that I rely on around a half dozen streamers, nymphs and dry flies. Below are some that work best for me here in the mid-west. But depending upon your geographical location, you may need to alter the selection. I prefer a hook size of 10 or 12 normally. Of course with a purchase of flies a fly box is required to hold the various flies and to have them readily available for use. 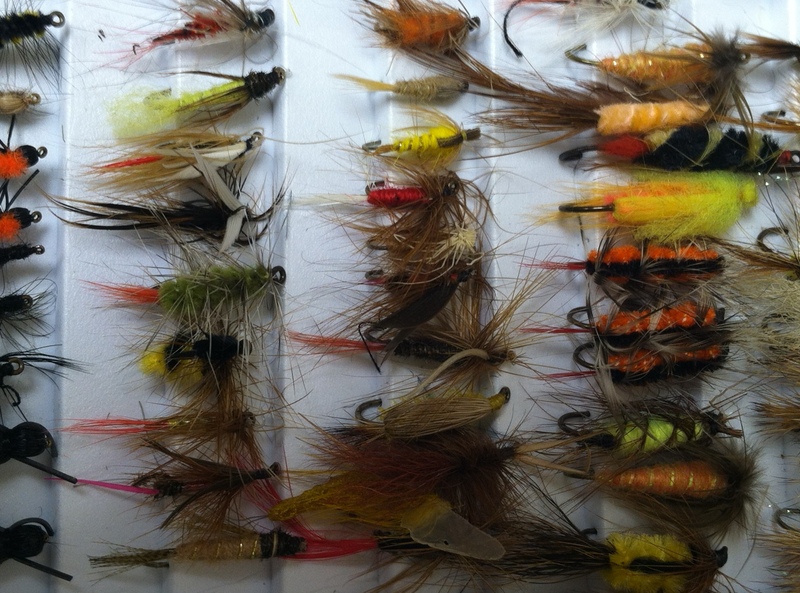 A medium size light weight foam fly box should serve a person well until such time as they become a full blown addict and end up with more flies than can be used in a dozen seasons. Part 3 will deal with waders, vests and casting, casting being the one item you can’t buy. This entry was posted in fishing, fly fishing, Uncategorized and tagged backing line, dry flies, fishing, fly box, fly fishing, fly line, leaders, nymphs, reels, streamers, tippets. Bookmark the permalink.